Contemporary menswear designer Todd Snyder has a knack for crafting luxurious pieces of footwear that blend his more casual hometown Iowan roots with the maximalist design language often found in New York City. 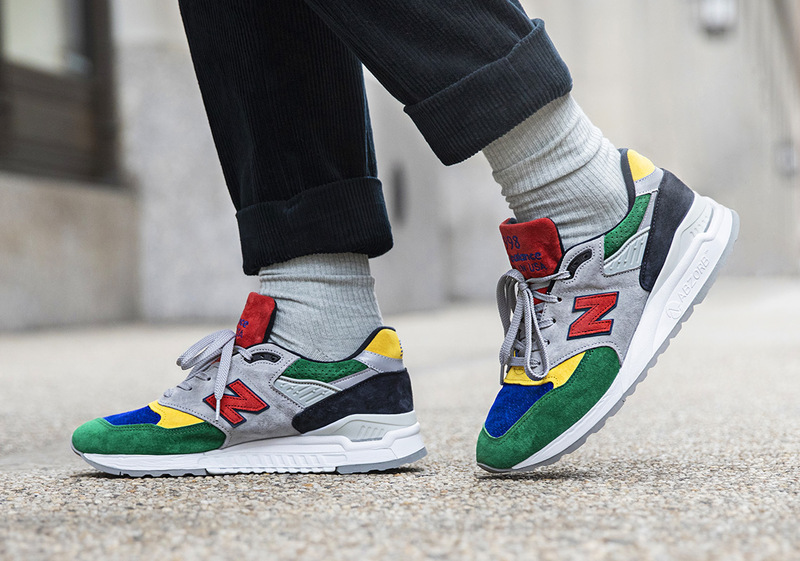 No stranger to premium New Balance collaborations, Snyder is back with a colorfully-designed NB 998 affectionately given a “Color Spectrum” monicker. With neutral grey, black, and white taking up the majority of this design’s real estate, colorful pops of yellow, red, green, and blue spruce up this new look, giving interested parties a chance to make a head-turning statement regardless of the winter months ahead. Snyder’s choice touch is the perfect pairing for the Boston-based brand and its 998 silhouette, as New Balance never shies away from the intricate and luxurious details. Avid NB collectors, or those looking for a head-turning piece of footwear to lace up in this December can head over to Todd Snyder‘s web store to grab these Color Spectrum kicks today.